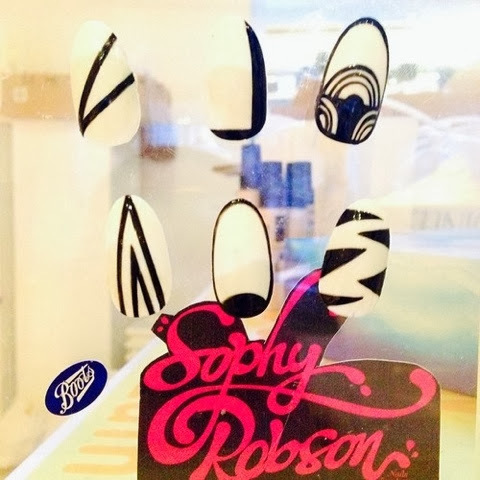 This week at an event for Boots I meet nail guru Sophy Robson, who as well as educating me on the nail trends for SS14 also treated me to a mani. 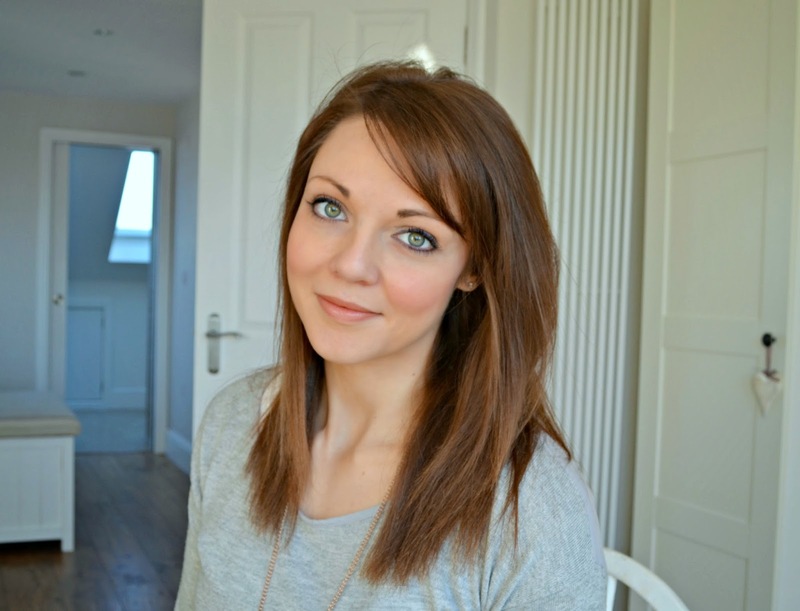 As white nails are such a huge trend, she gave me some tips for getting flawless, non-streaky coverage. Make sure you use two thin coats and use a light touch, so you don't put streaks into the polish, especially on the second coat will help, but always easy said then done...! Sophy had made a nail menu for the evening, which comprised of black geometric nail art on the white nail. As my nails are currently quite short from too much DIY, Sophy suggested the arrow shape without the inner stipes to help lengthen my nails. I really loved the design and got so many compliments on this simple design, which is totally achievable with a nail striping brush. 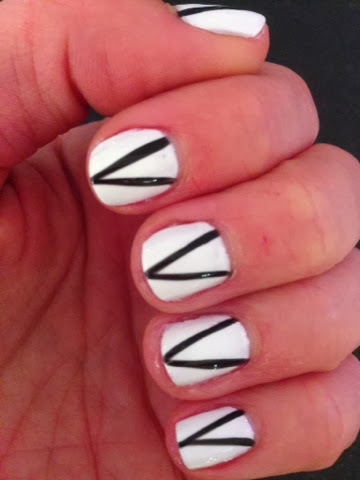 First pop on 2 coats of your fav white polish (such as Essie in Blanc £7.99 or Seventeen in Mini Skirt £2.99) and then use a striping brush to paint on the thin lines to a point at the centre of the nails in a black polish, two coats will give the best finish. Sophy used No 7 Just Black £6 on my nails. Then finish off with your fav top coat to help the mani last.